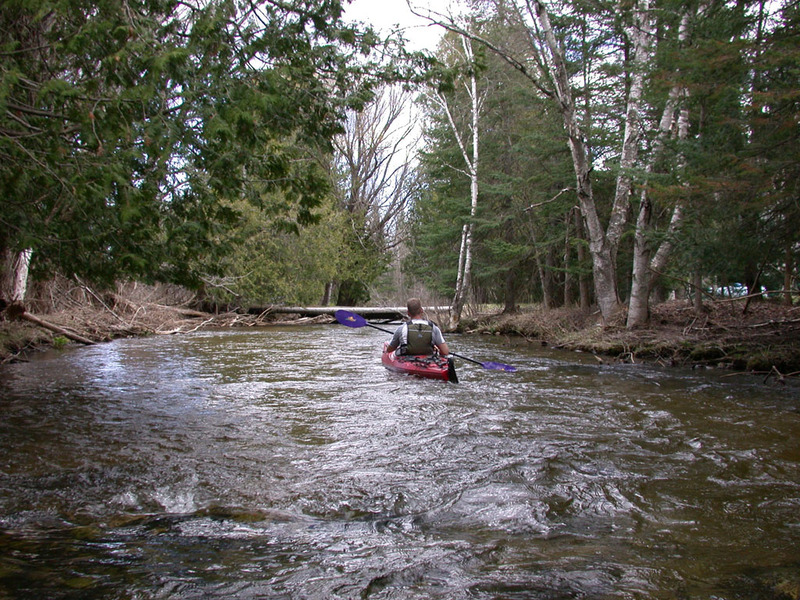 The Sturgeon River is famous for its speed, it has a slope of nearly 15’ per mile, and undeveloped forested banks, with overhanging trees and quick turns as obstacles for even experienced paddlers. It is also famous for its coldwater fishing, being a state-designated Blue Ribbon Trout Stream. 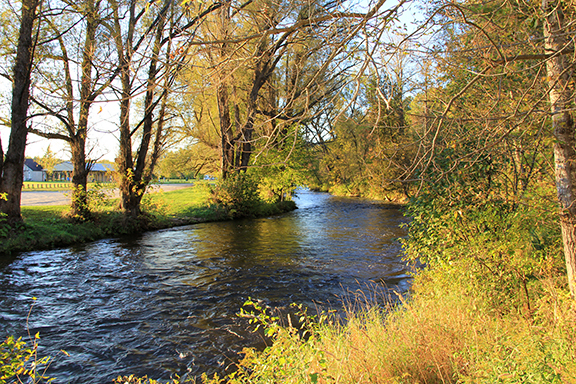 The Sturgeon River has two branches. The East Branch has headwaters in hills that include part of the City of Gaylord in central Otsego County, while the West Branch originates in Huffman Lake and Thumb Lake in Eastern Charlevoix County. Both branches flow north through largely undeveloped forests and converge at the town of Wolverine in southern Cheboygan County. From here, the Sturgeon River continues to flow north through some of the most spectacularly scenic country in Michigan’s Lower Peninsula. Throughout its lengths, many sections of the river pass through the Mackinaw State Forest. Energized by its speedy journey through large expanses of wilderness, the Sturgeon River pours into Burt Lake on the south side of Indian River. As the water slows down, it dumps its sand to form a delta. In this lower stretch of the river, there is residential and commercial development along its banks. The Sturgeon River is monitored every three years through the Watershed Council’s Comprehensive Water Quality Monitoring (CWQM) Program for dissolved oxygen, specific conductivity, pH, nitrate-nitrogen, total nitrogen, total phosphorus, chloride levels, and total suspended solids.